So there’s this. Go read it. I’ll wait. I haven’t been motivated to post in a couple of months, but this one got me moving. A couple of comments right from the outset that seem relevant. #1, there is a difference between expressing a dissenting opinion – even an unpopular one, and trolling. #2, if you’re writing an article and you feel that it’s necessary to spend your first two paragraphs inserting disclaimers, you might want to rethink your content. I believe that this student absolutely has a right to express his opinion on how the plane crash of Southern Airways Flight 932 is remembered by himself and his peers. The thing is, freedom to express your opinion, particularly as a journalist, brings with it a responsibility that wasn’t met in this case. The entire article speaks to a total lack of understanding as to why Marshall University remembers that day in November 1970. The article talks about being “reminded of tragedy” and “pageantry continuing” after 42 years. The author expresses doubt that those in attendance at the memorial ceremony “truly felt the loss” of those lost in the crash. Henry doesn’t speak for me. I don’t think he speaks for the majority of students currently on campus either. The people directly impacted by the tragedy and the loss of their friends and loved ones, they have a deeper vein of pain that I can understand. I recognize that. My respect for that prevents me from daring to tell them how “I” think they should feel, or how long they should be allowed to “remind themselves of tragedy”. I can, however, speak for myself. I wasn’t born when the plane crash happened either. I wasn’t directly, incomprehensibly impacted by the sudden loss of friends or family. I still remember the tragedy each year – not to continue to mourn those lost and look back in sadness, but to celebrate what the aftermath of that tragedy meant to the Marshall University campus and the community of Huntington, WV. The ability of a community so grieved by unexpected loss to band together and help one another rise from the pits of that heartache and heal – that is something that should be celebrated. Every year. For as long as we can celebrate it. It is the very reason why when I became a son of Marshall in 1992 I agreed that as a part of this family I would continue to remember – to help remind everyone who hears the story what is possible when people take the common bonds of unspeakable tragedy and turn them in to love, compassion, and support for one another. The lesson of overcoming the tragedy, it is something to be celebrated and remembered. 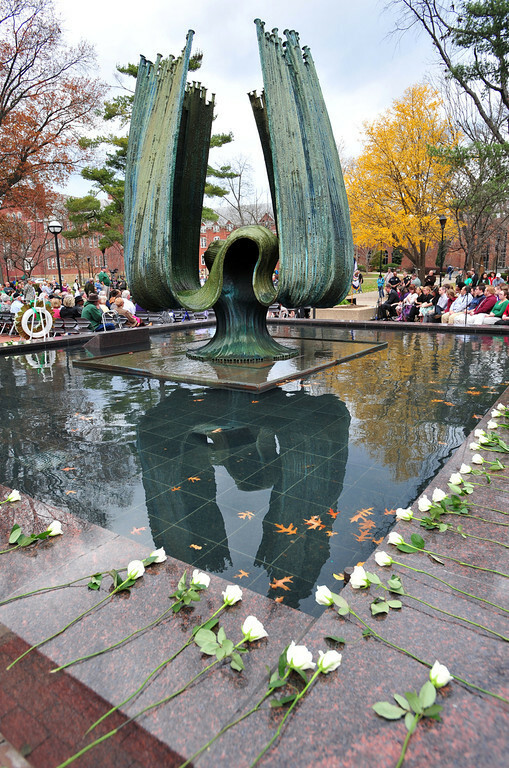 The respect for those who still do mourn keeps the remembrance appropriately somber, but its not sadness that most are keeping with them when they think about how far Marshall University has come. 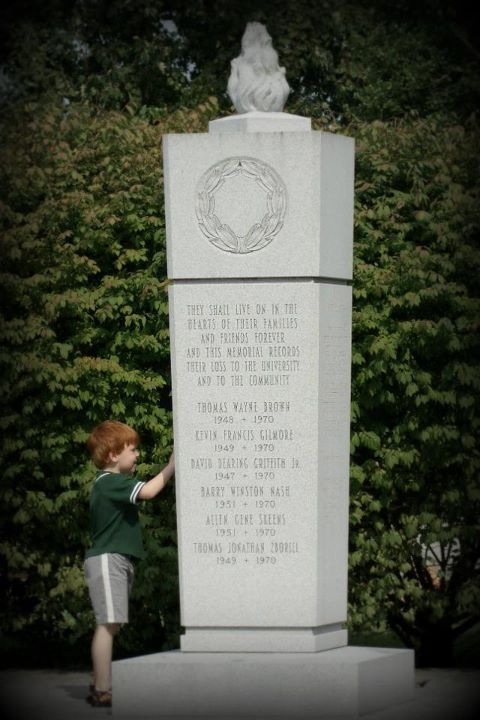 I not only remember, but I take special care to make sure that the next generation remembers too. 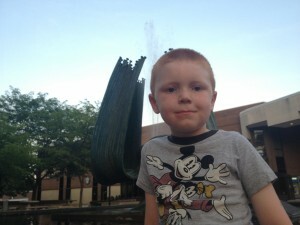 I explain to my own children the tragedy, and its effect on the community. I express to them how amazing it is that in this place, in this town, on this campus, people were able to band together and use one another’s shared strength to get past something unimaginable in their lives. That is a lesson that I want my children to know about. That is a lesson that, particularly in this day and age, we should all want to share as often and as loudly as possible. We Are Marshall because of what we were able to do both before and since November 14, 1970. Everyone who sets foot on this campus as a student, faculty or staff becomes a part of that story as they add to the success since that day. Keep remembering, and be thankful that we live in a place where we don’t have to look back in sadness because we weren’t able to overcome what happened. We Are Marshall because we continue to overcome challenges together, using the lessons we were taught by those who came before us.